Marvel fans got the ultimate surprise at the D23 Expo 2017 during the Walt Disney Studios presentation as the entire cast of “Avengers: Infinity War” took the stage. 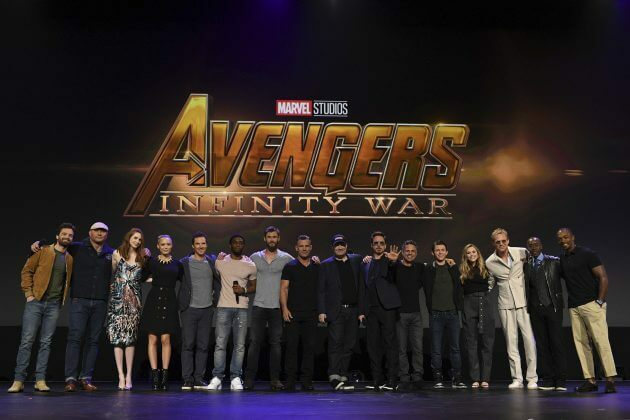 Josh Brolin (Thanos) led the group, followed by Paul Bettany, Elizabeth Olsen, Pom Klementieff, Karen Gillan, Dave Bautista, Don Cheadle, Sebastian Stan, Anthony Mackie, Benedict Cumberbatch, Tom Holland (Spider-Man), Chadwick Boseman (Black Panther), Mark Ruffalo (Hulk), Chris Hemsworth (Thor), and Robert Downey Jr. (Iron Man). 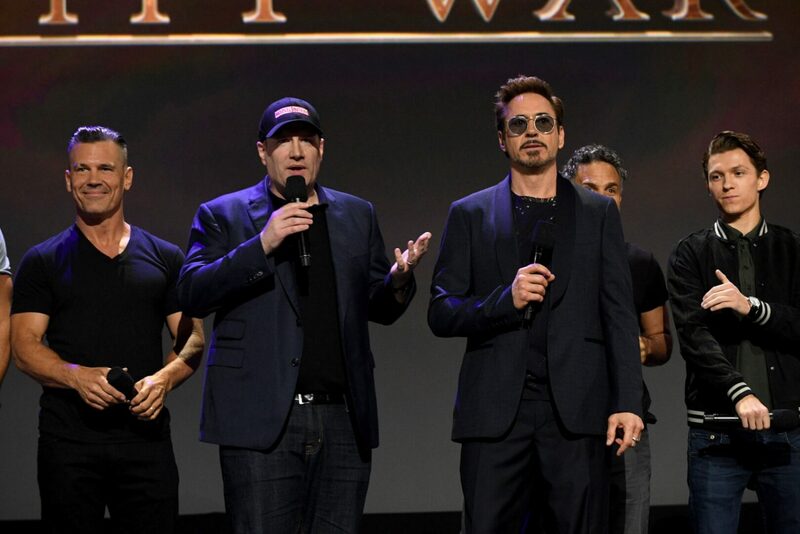 “Just yesterday in Atlanta we wrapped the halfway point of the production of Infinity War,” said Marvel Studios president Kevin Feige. The massive group of superheroes posed for a giant group photo on stage before co-director Joe Russo. 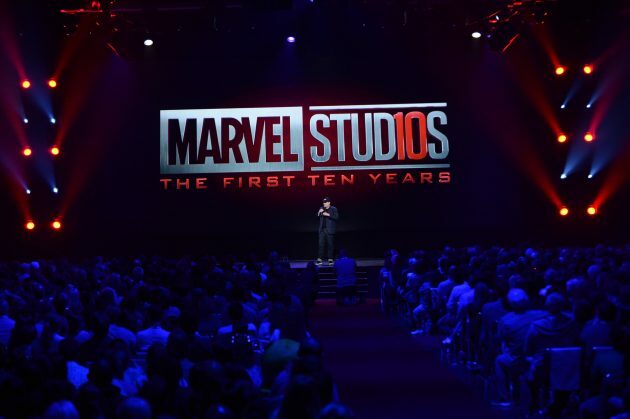 The clip featured Thor meeting the Guardians of the Galaxy in the Milano, along with Loki, Spider-Man’s new suit, a blonde Black Widow, and a whole lot of ‘WOW’ moments. The cast then received a standing ovation from the crowd of fans.